End-to-end testing under heaviest loads to validate the entire system. One monthly fee, unlimited usage. Test under the heaviest load, and stress conditions possible. No limit. validates the entire system (media servers, signaling servers, load balancing, network, and more). Test under the heaviest load, and stress conditions possible. No limit. * AWS instance price only, based on historical spot price in us-east-1 for C4.xlarge. Excluding data transfer cost and Grid Manager monthly fee which is fixed for unlimited usage. Please contact us for more details. 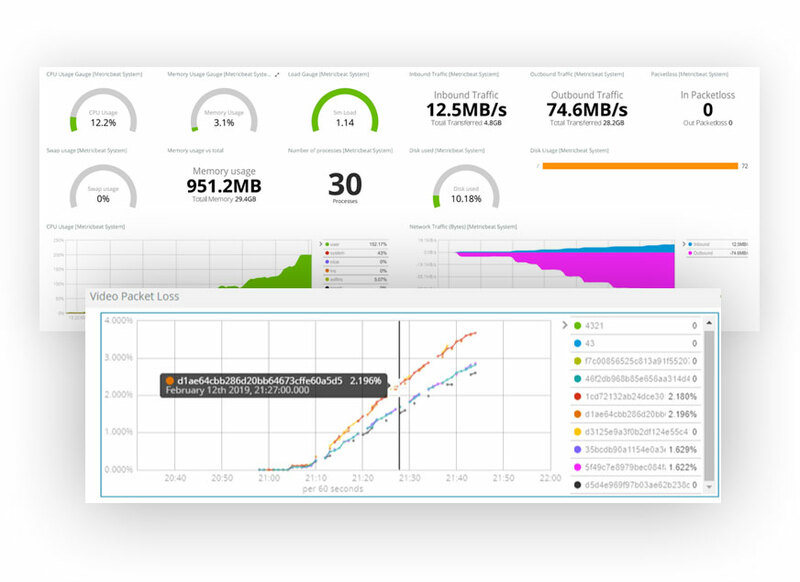 Control the cost with our fixed monthly fee structure for unlimited usage and by running the load tests on your own cloud. VM usage cost is paid directly to your cloud provider at the lowest instance prices. Leverage our existing Selenium Test Scripts with modular steps to validate any WebRTC service in any setup, p2p, small conference, large conference, webinar, live streaming, and more. Set ramp-up speed, number of rooms, participants, leave/join timings and meeting durations for each participant. No limit imposed by the Grid Manager, setup as many clients as allowed by your Cloud provider’s instance limits. Enables video media frame quality assessment, specifically built to assess real-time media quality.